For 200 years, Tulip Poplars planted by Thomas Jefferson stood sentinel by Monticello’s west lawn portico. Then, in 2008 and 2011, the enormous trees succumbed to age and illness and were taken down. Kirk McCauley is one of several local artisans The Thomas Jefferson Foundation has entrusted to honor their beauty and historic significance. He pursues his passion for hand turned wood artwork in North Garden Virginia, and is a member of the Central Virginia Woodturners and American Association of Woodturners. 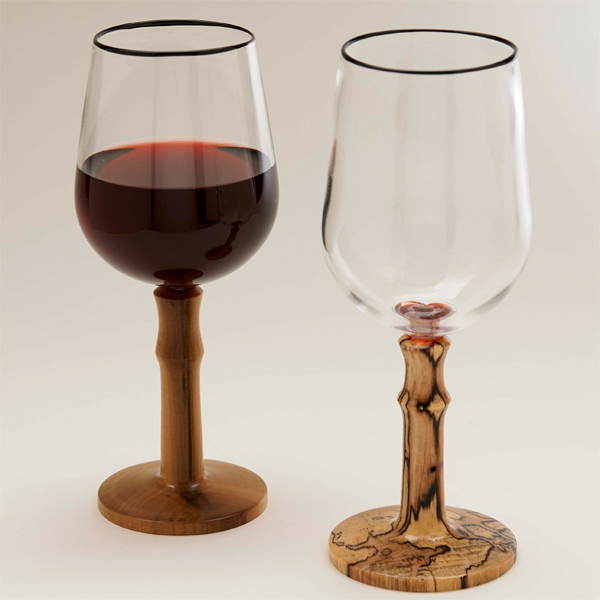 Wood from these majestic trees has been used to create the stem of this beautiful wine glass. 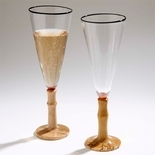 The glass is hand blown by Virginia artist Adam Childress. Each glass is signed by the artists. Approximately 7 ½”h. 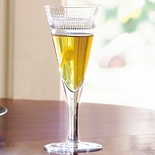 Size and shape will vary slightly. Sold individually.